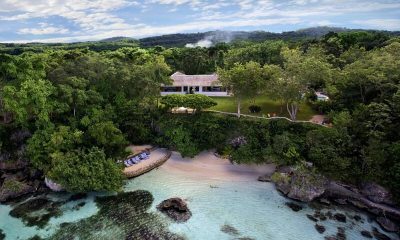 Live out your wildest fantasies at GoldenEye, the jaw-dropping Jamaican luxury retreat that inspired Ian Fleming to create James Bond from its shores. 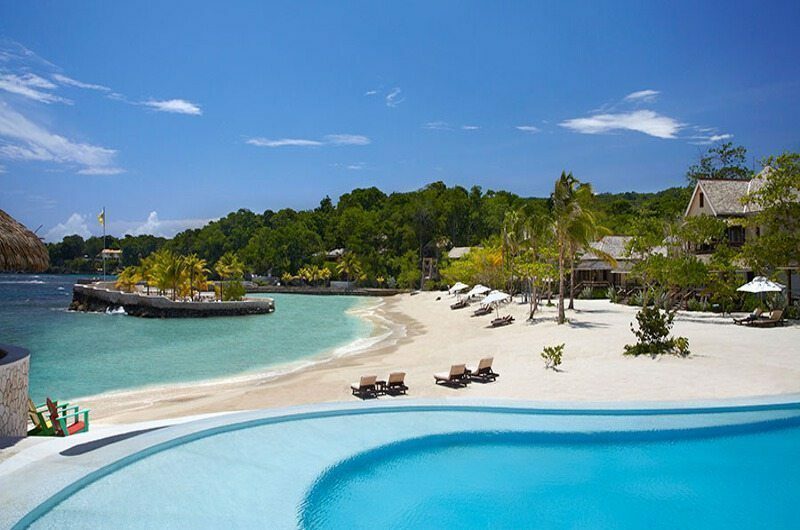 When it comes to epic holiday escapes, GoldenEye is second to none. 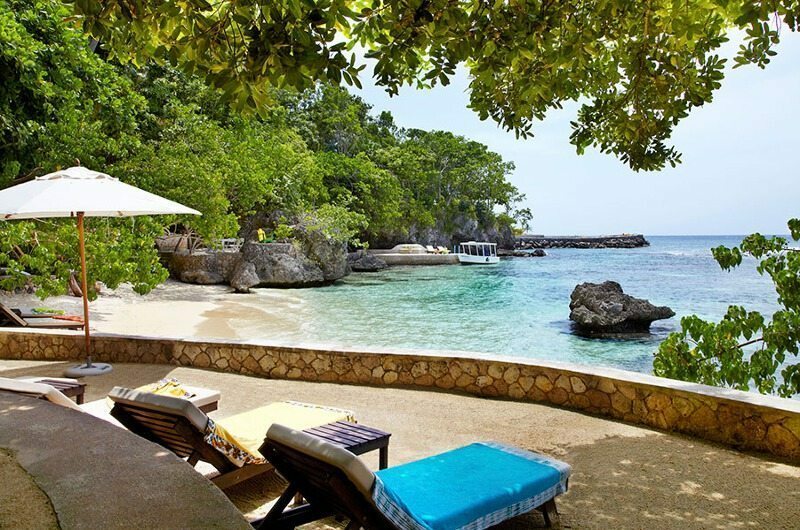 Located on the heavenly shores of Jamaica, GoldenEye is the very spot where Ian Fleming penned his James Bond novels and brought the world’s most famous secret agent to life. 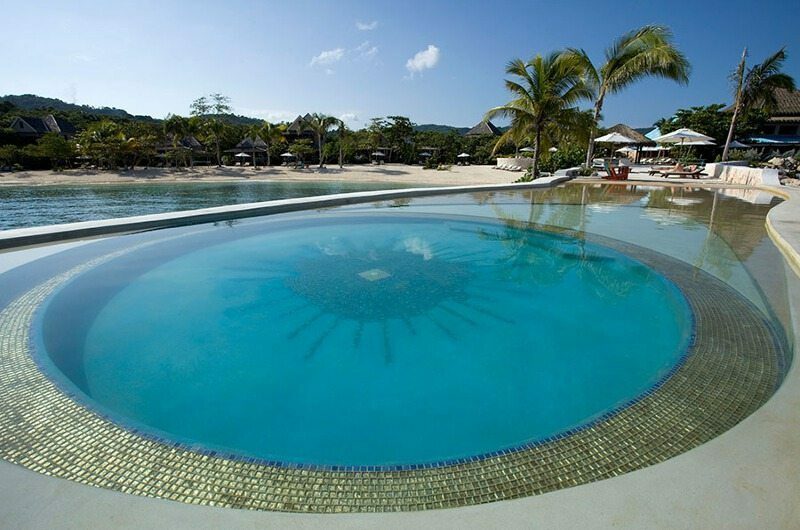 The lavish estate offers something for everyone, with opulent villas and extravagant cottages ranging from intimate one to three bedroom retreats. 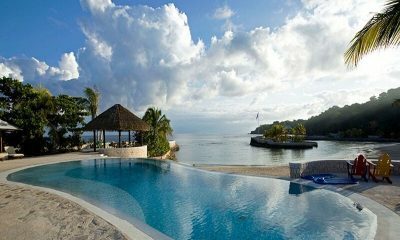 The crowning jewel is the palatial Fleming Villa, which houses three bedrooms and two separate cottages, making it more of a private resort than a villa. 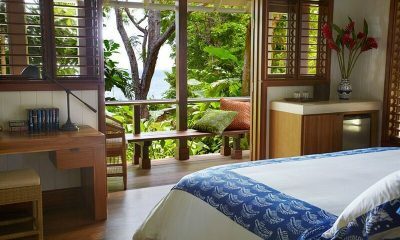 In addition to five-star accommodation, GoldenEye offers a whole world of pampering and entertainment. 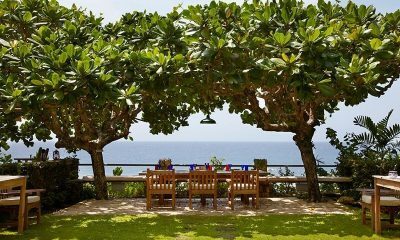 The resort offers stunning dining venues, including the Gazebo perched high up in the trees. GoldenEye offers the perfect setting for water sports, with guided excursions inviting you to explore the waters around you. To wrap up a blissful day in paradise, pay a trip to the resort’s luxurious FieldSpa. The luxurious Original Villas range from one to three bedrooms. 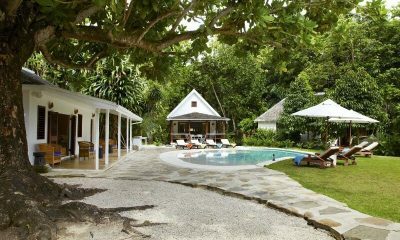 Located just beyond the beach, the villas offer a private hideaway nestled in the lush green nature of Jamaica. 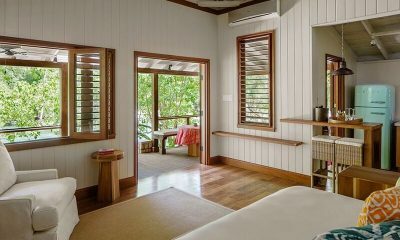 The one bedroom villa sits in the shade of a majestic Banyan Tree. 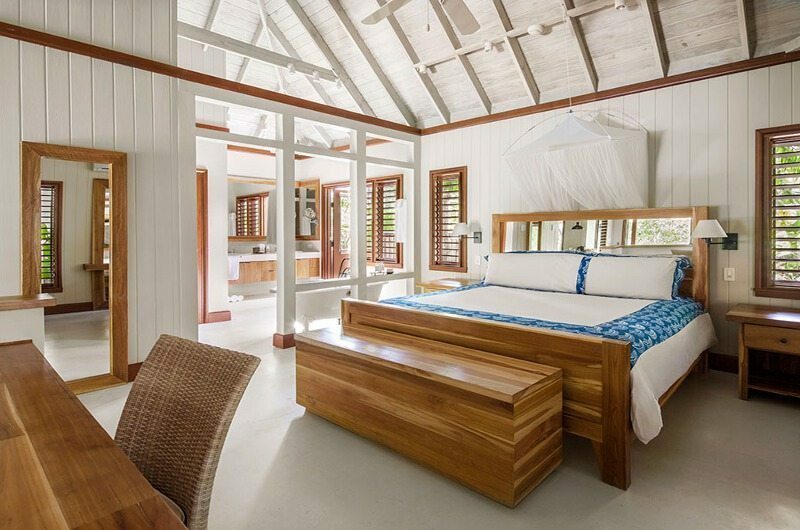 The villa houses a plush queen-size bed, while the adjoining bathroom offers a world of luxury with the classic 007 claw-foot bathtub and a decadent outdoor shower. The spacious villa also features a separate living room and kitchen as well as a generous patio tailor-made for alfresco dining. 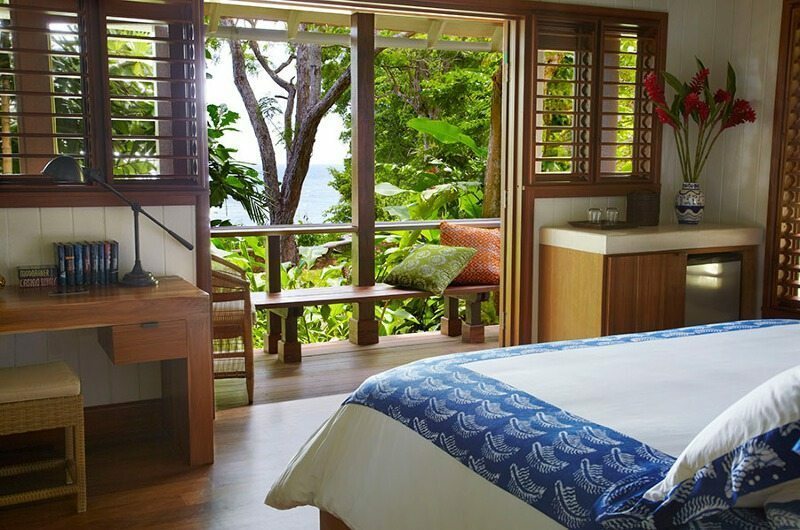 The one-bedroom lagoon hut is hugged by a private tropical garden. 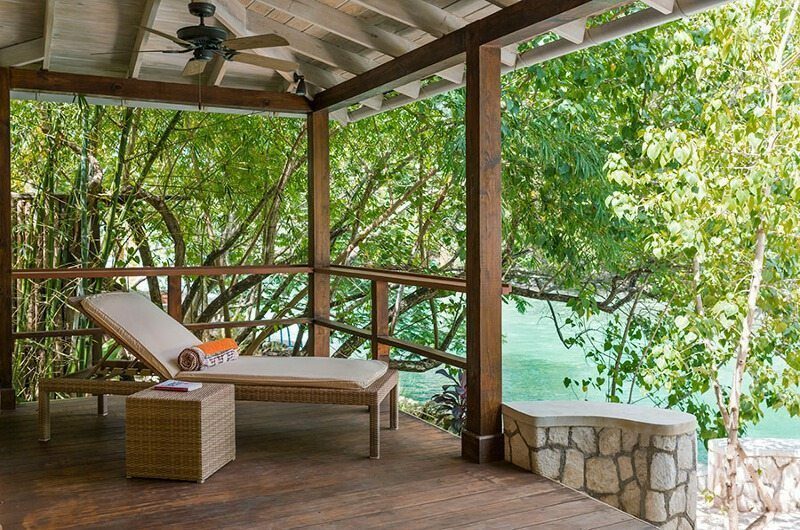 Called Spanish Elm, this is one of the first buildings of GoldenEye and boasts stunning vistas of the lagoon, where guests can enjoy a luxurious swim in absolute privacy. Never short on tropical charm, Spanish Elm attracted Johnny Depp to plant a namesake tree right by the villa. 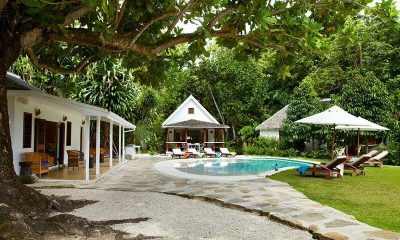 The three-bedroom villa is called Strangeways, giving a wink and a nod to the very special magic you can feel all across the island. The villa is perched on an impressive cliff top, treating guests to mesmerising vistas of the Caribbean Sea. 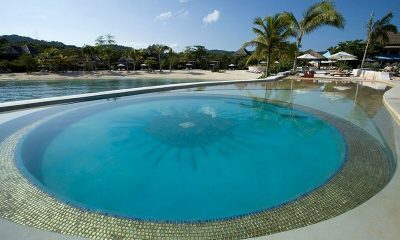 The villa also has its own private swimming deck in the lagoon. The villa is divided into separate pavilions. One structure houses a bedroom and the spacious living room, while two pavilions house a bedroom each, and the fourth structure is home to the compound’s private kitchen. Each bathroom is an extravagant ensuite affair, with style, design, and state-of-the-art fittings to ensure you can revitalise both body and mind. With designer bedrooms to keep you indulged in utterly luxurious comfort at all times, alongside modern amenities in the stylish bathrooms, you may be forgiven if you never wanted to leave. 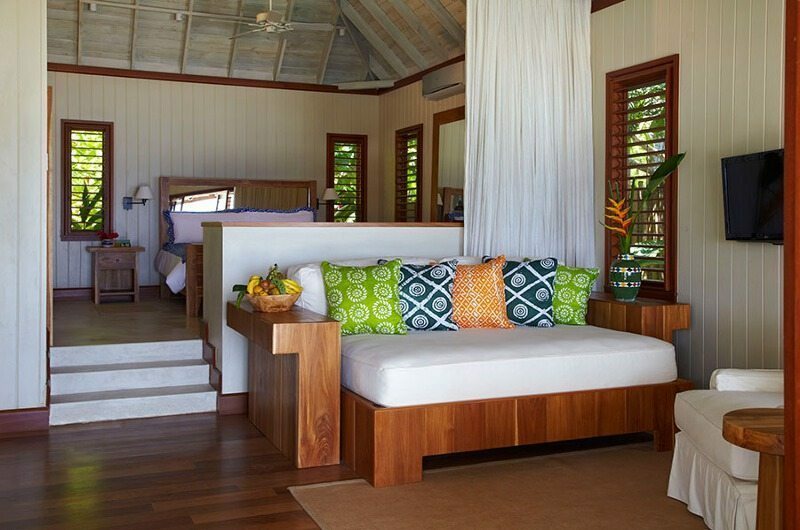 The one-bedroom Lagoon Cottages are each adjoined by a private dock hovering over the turquoise lagoon, with a rainbow-hued kayak simply waiting to whisk you away on a tropical adventure. 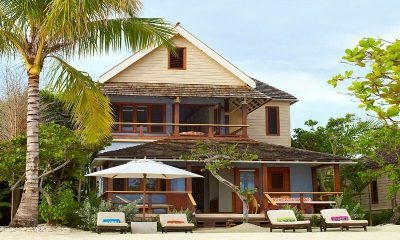 The cottages are shrouded in lush greenery and boast direct lagoon access from your very own patio. 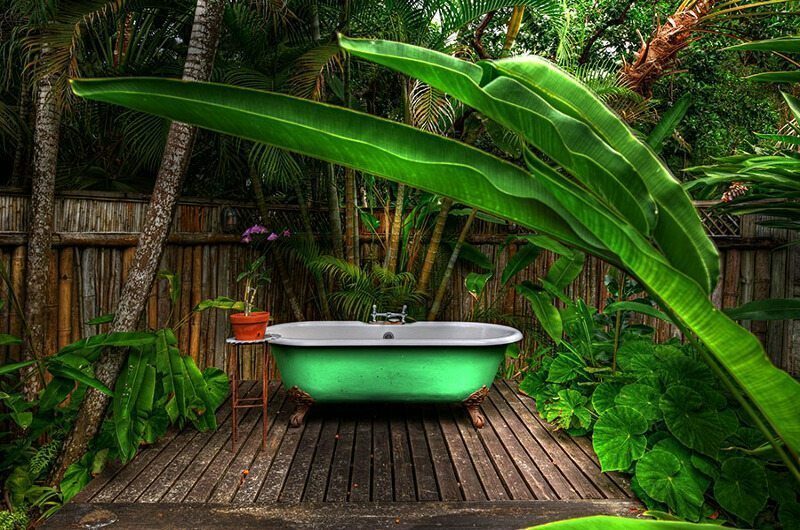 Each cottage is furnished with a king-size bed and a glamorous open-air bathroom complete with a luxurious claw-foot bathtub. Take your time and soak in the long holiday days chilling overlooking the lagoon, or get active and grab a paddle. The choice is yours – you are on holiday after all! 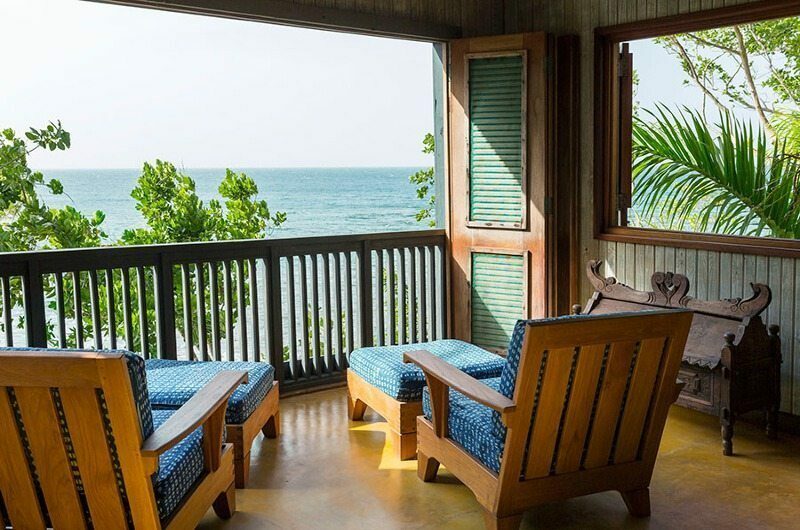 Choose between a one-bedroom haven and a two-bedroom oasis and enjoy a setting right by the ocean in one of the beautifully bohemian Beach Huts. 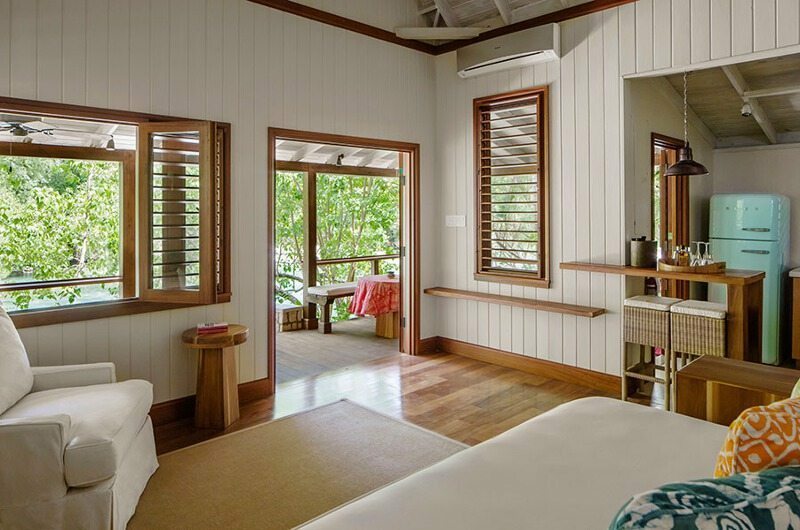 Each freestanding hut is raised several feet over the talcum white sand, allowing you to simply float on air and make the most of the stunning tropical vistas surrounding the property. 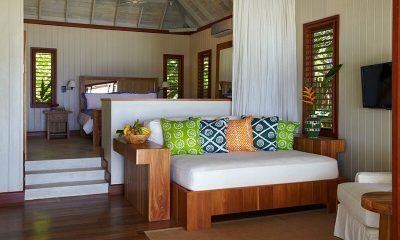 The huts have an airy design allowing for a fresh breeze and true tropical feel to flow through effortlessly. 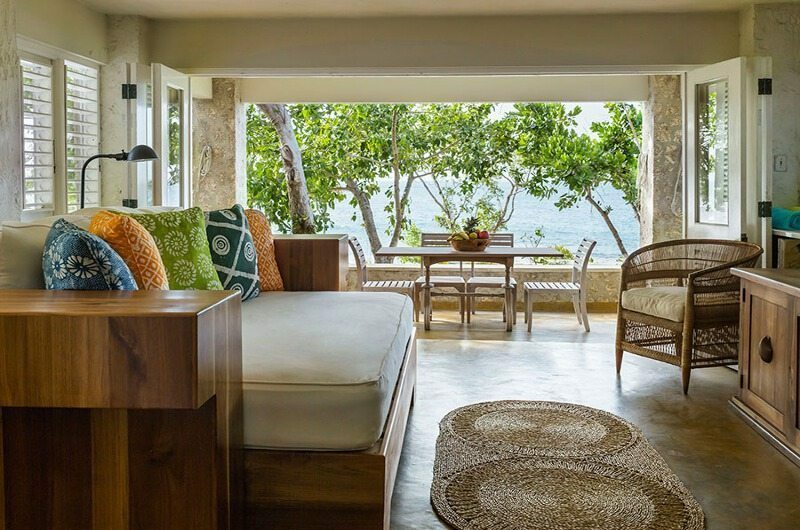 The chic interior design mixes Jamaican furniture with flowing white linen and vibrant African textiles. 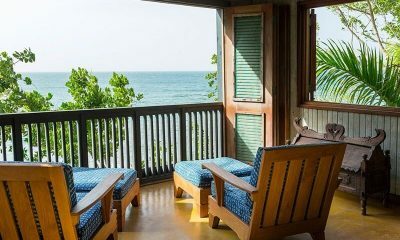 Each of the huts offers a prime location for making the most of Jamaica’s natural charm, facing either the picturesque Oracabessa Bay or the scenic Snorkeler’s Cove. With all modern bathrooms and sinfully comfortable beds, you will be wanting for nothing during the entirety of your stay. 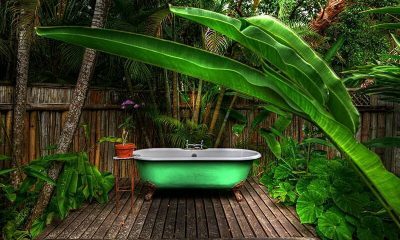 This is how paradise is meant to be. 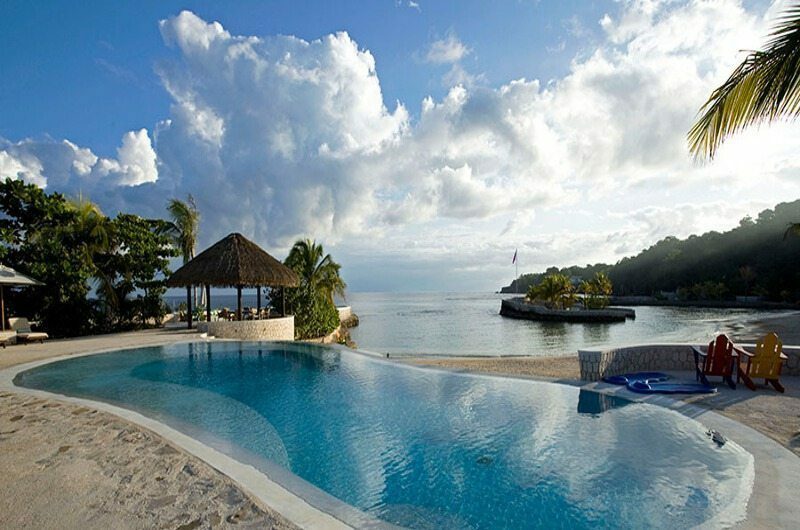 The iconic Fleming Villa boasts the enviable status of being the birthplace of James Bond himself. 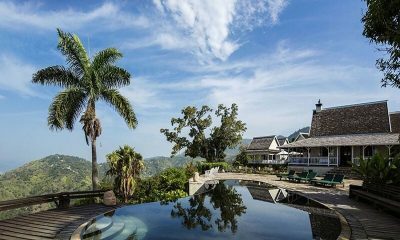 This luxurious mansion shrouded in Jamaica’s lush greenery is the very place where Ian Fleming wrote all 14 of his James Bond novels and it’s easy to see why he felt inspired. The tropical estate cascades down to a pristine lagoon of turquoise waters and thanks to the dedicated staff, you won’t need so much as to lift a finger during your stint in paradise. 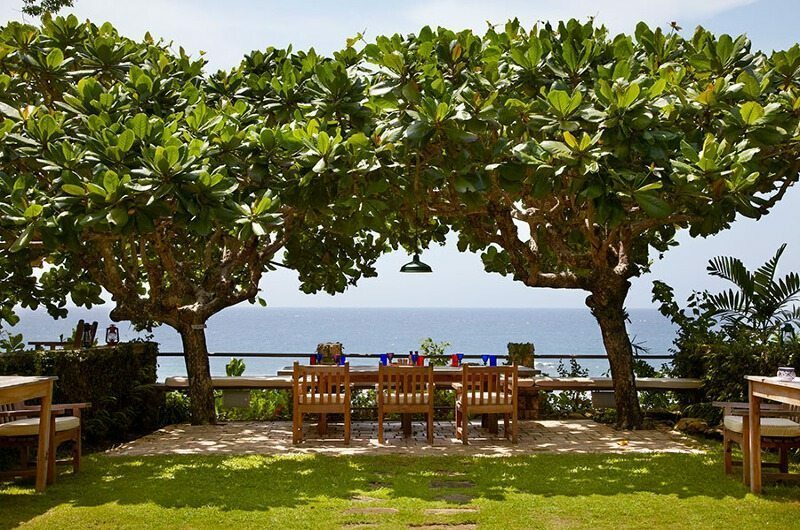 The villa comes complete with all the luxe perks you would expect from 007’s holiday home. 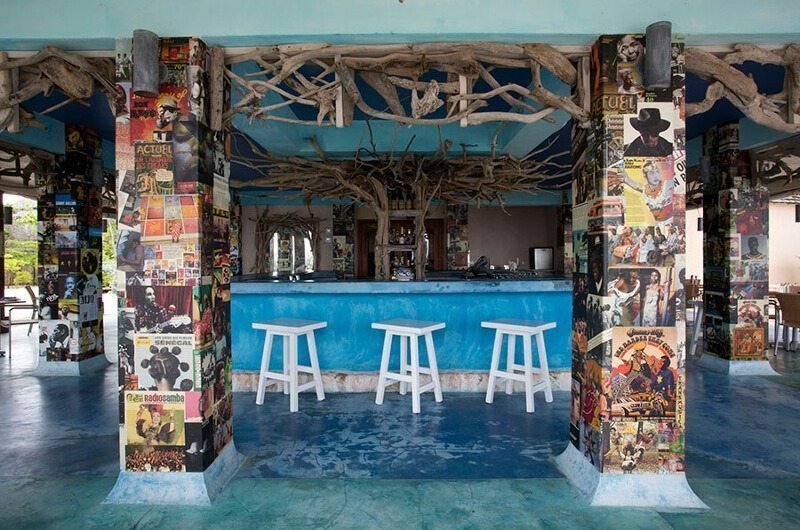 The stunning pool includes a bar where you enjoy cocktails, shaken or stirred, and the beachside barbeque venue is shaded by almond trees planted by Fleming himself. 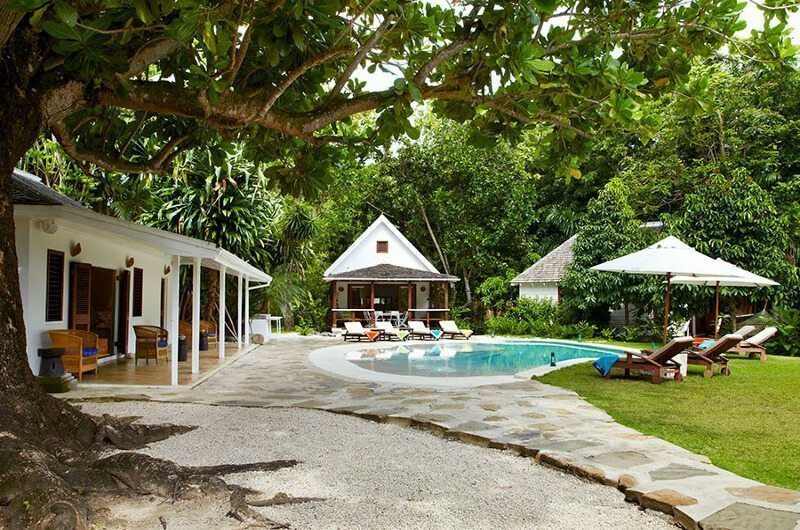 The lavish estate consists of the original three-bedroom villa with two satellite cottages offering additional room for your fellow agents. All together, the grand estate can accommodate up to ten guests. 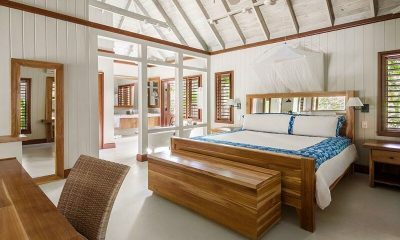 The design is fit for 007 and his entourage with dreamy canopy beds and gorgeous open-air bathrooms. 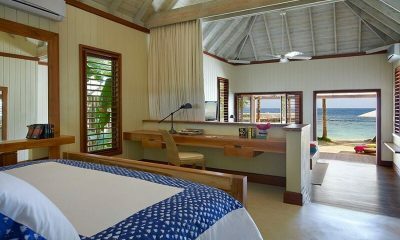 The master suite still houses the very desk where Fleming sat to write his thrilling novels. Total opulence with incredible detail paid to every furnishing throughout the bedrooms and within the villa, as well as a modern fusion by giving every luxury for the bathrooms, we challenge you to find a more spectacular villa than this that can withstand the test of time. Elegance never goes out of style! 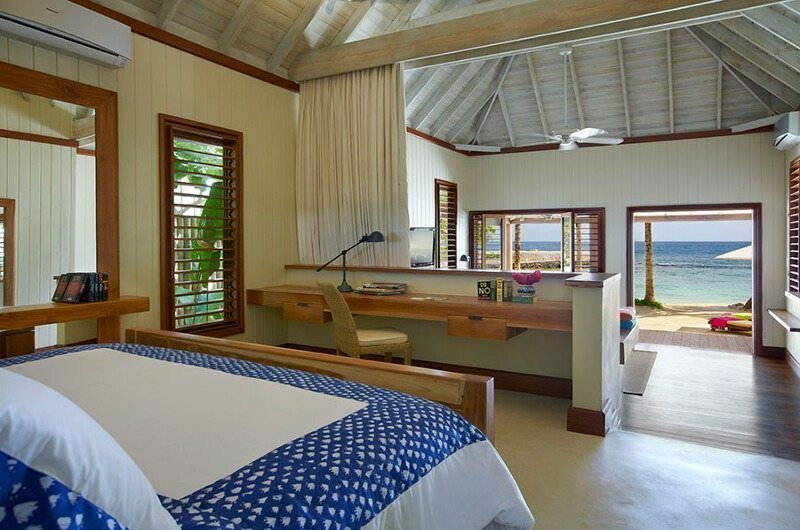 Your stay in GoldenEye is made enjoyable by the professional staff. GoldenEye’s staff have been professionally trained and will do their utmost to please with their warm and friendly hospitality. 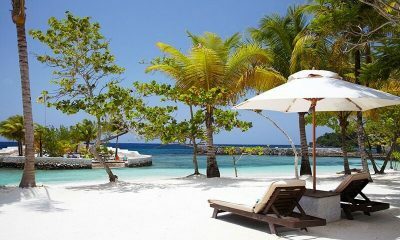 GoldenEye’s experienced and knowledgeable manager is responsible for the overall operation of the villa. The villa manager will oversee and coordinate the staff and property and assist you during your stay. 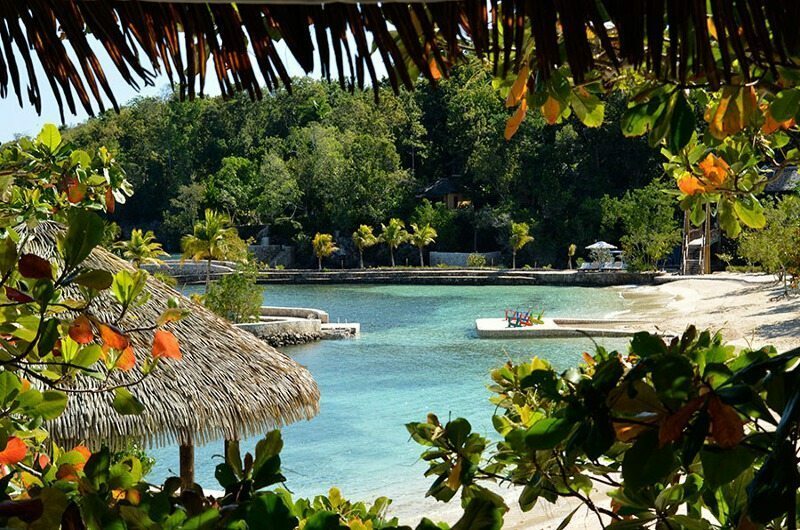 GoldenEye is located in impeccable Oracabessa Bay, nestled on the northern shores of Jamaica. 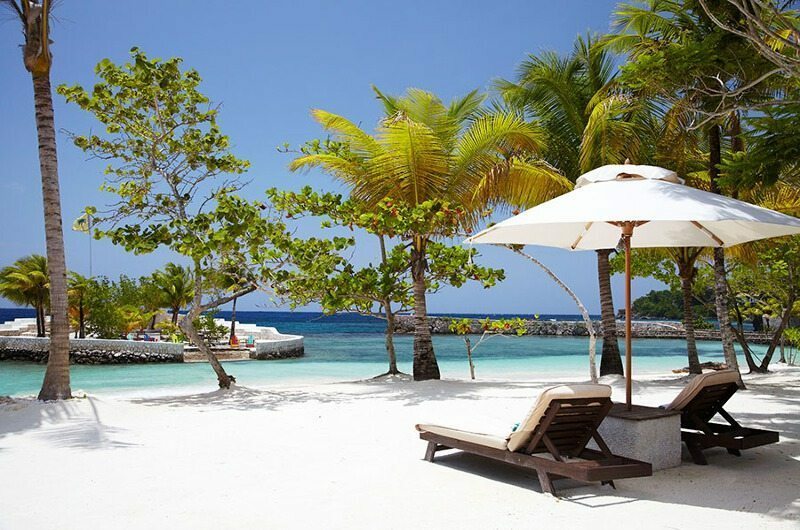 Boasting an absolute beachfront location, the resort offers the ideal setting for snorkelling, kayaking, scuba diving and more. The estate is a 15-minute drive from Firefly, a stunning venue boasting jaw-dropping views over the ocean and offering one of the best spots on the planet for taking in a tropical sunset. The most convenient and scenic of the nearby airports is Sangster International Airport, which is located some 90 minutes from GoldenEye. We went first time that too a quick unplanned Father’s Day lunch out. Had a big reputation of exclusive style in my mind and I admit it lived up to. While a hot summer day it was the staff was contrasting welcoming and I were mesmerized by the architecture of the hidden spot. Coming across a river side dropping into sea with James Bond beach across is just perfect blend of natural marvel and perfect eye for detail whosoever found the spot and made it to a legendary property. “Bizot Bar” with a barbecue lunch was awesome experience. Food was just perfect with yummy bbq shrimp and jerk chicken. 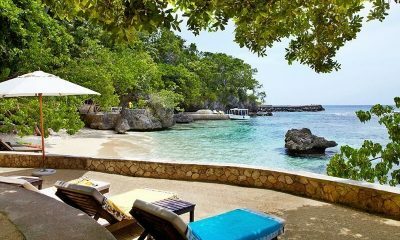 Kids were entertained and Reggae band was a instant soothing effect with the song selection and typical Jamaican vibes…certainly going back with some nice weather and stay at the property! 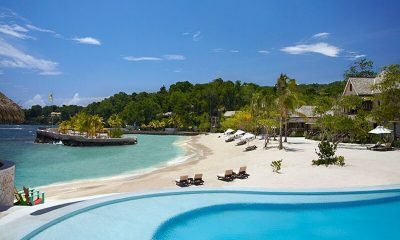 !Highly recommended experience in Jamaica or rather Caribbean!! There should really be some sort of re-entry program for people leaving Goldeneye. Today I woke up and had to take a shower indoors, there was no one making me a delicious Jamaican breakfast, and no breeze off the ocean to start my morning. When you’ve spent a week in paradise, reality is rough! Truly, what Mr. Blackwell has created is an experience like no other. 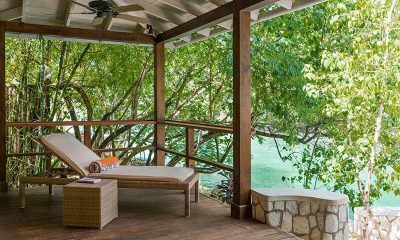 Goldeneye is aggressively chill, an oasis of tranquility in which you can do as little or as much as you like while interacting with as few or as many people as you wish. The relaxed vibe seeps into your bones and immerses you in a blissful state of utter zen. We stayed in Lagoon Cottage #9 and started each morning on our veranda. Aside from the occasional paddle boarder or kayaker, we felt like we had the lagoon to ourselves. We paddle boarded, kayaked, and snorkeled there, and I spent one lazy afternoon floating on a raft in it. The pools are small but so are the crowds. There never seemed to be more than a few people in any of them at a time, and the wait staff took excellent care of us while we were lounging poolside. The beaches are also relatively small but beautiful, and staff are always cleaning and raking the sand (on the beaches and elsewhere) to keep them pristine. The views are simply stunning. 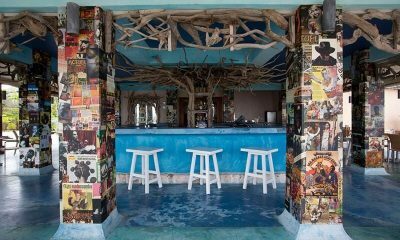 We enjoyed eating most meals at Bizot Bar (where they serve breakfast, lunch and dinner), but we also ate at the Gazebo several nights (try the coconut panne cotta with mango for dessert – delish!) and at the Button Beach “shack” which served delicious jerk chicken, freshly caught fish in foil, ital stew, and festival. Yes, dining choices are limited on-site and prices are what you would expect at a nice resort, but we loved the fact that it was fresh, local, and loaded with true Jamaican flavor and spices. We felt portions were perfectly adequate, and I often left food on my plate. Drinks were also good (and again, prices are on par with typical resort cocktails), we especially enjoyed the Black Passion made with Blackwell rum but there was an extensive list of options for every taste, as well as plenty of non-alcoholic options. We attended a rum party at the Shabeen Bar on our last evening, and the view from the rooftop there was absolutely spectacular. Watching the sun set on our vacation surrounded by friendly faces was the perfect way to end our trip. The pinnacle of our anniversary trip was celebrating our 20th with a private dinner on the peninsula, listening to the sound of the waves and feeling like the only two people on the island. It was absolutely magical. I wish that I was better with names, and I hate to even try because I’m leaving out so many important people, but Stuart who manages the property was wonderful. He made a real effort to connect with guests and every time we saw him he was making sure things were running smoothly and that every detail of the guests’ experience was perfect. Damon was our waiter for our private dinner and made us feel like royalty. It was so fun to see familiar faces in different settings throughout the week, and I can’t think of a single person who didn’t go out of his/her way to make us feel like we were guests visiting their home, a home they take great pride in. Was our week entirely without glitches? Of course not, nothing is perfect. Our air conditioner wasn’t working properly at first and took a few visits from maintenance to really kick in (making for a fairly sweaty first few days), we would have liked to have the mini bar snacks replenished, the scallops I had at the Gazebo were some of the chewiest I’ve had, and we had a bird outside our bedroom area that kept me up for hours at a time…but we also had attentive, courteous employees who came out right away to repair our A/C unit, wait staff and managers who were quick to make sure our food met our expectations, and a staff member who actually contacted someone to safely move the bird to another tree when I made a joke about being tired because of it. Once again, the people made all the difference! Goldeneye has forever stolen a piece of our hearts. The pace is slow, the food is real, the people are warm and welcoming, and the setting is breathtaking. We’re already planning to go back and bring our children! 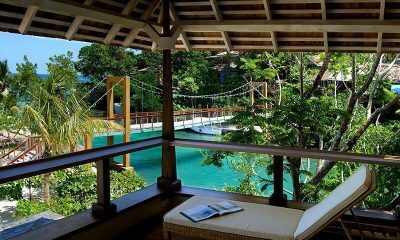 What a peaceful, amazing little resort. We didn’t want to leave! There are very few places like this. Arron, Earl, Dane, Ricardo, “Pops”, etc…wish I could remember more names, but the staff was great. We loved our beautiful beach hut with the outdoor shower. 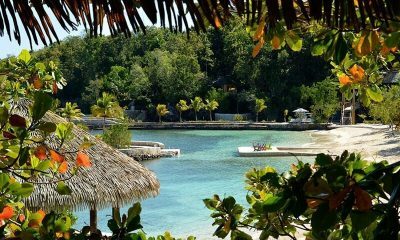 The food, the lush grounds, the views, the snorkeling, the seclusion/privacy, etc. We can’t wait to go back. I went to Goldeneye to propose to my girlfriend. The hotel staff arranged for us to have the roof top of the Shabeen bar to ourselves where I proposed. Then Tim (chef) prepared a fantastic meal for us in the Gazebo restaurant. We stayed in a 1 bedroom Lagoon villa. The attention to detail, the service, the setting was top shelf. We will be back for sure. Nice and secluded with beautiful views all over the property. We barely saw other guests outside of meal times. The staff was incredibly friendly. I can’t thank Fiona enough for all the help she provided throughout our experience. The best massage I’ve ever had was at the Field Spa with Yolanda as my masseuse. 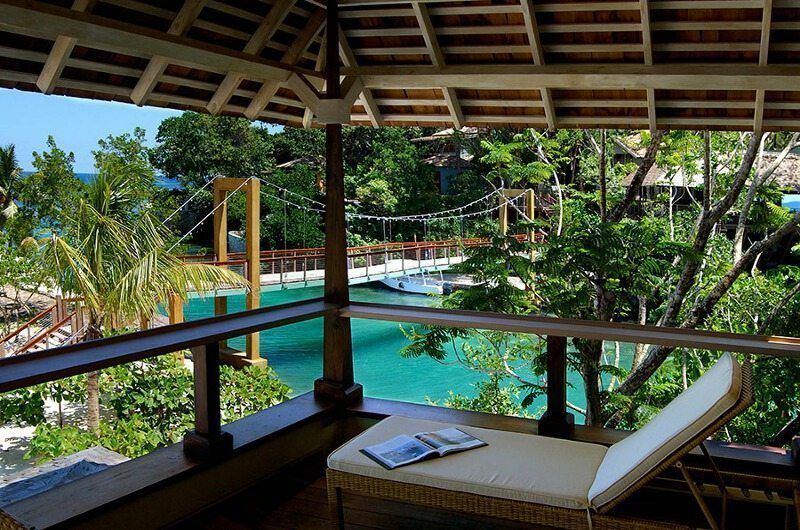 This place is a true getaway. If you are looking for a place to go look no further. I have traveled the world and i put this place in my top 10 list. This was a last minute trip and i was very skeptical until i arrived and now i know why they keep this place very secret. 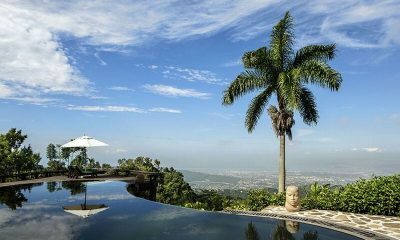 Strawberry Hill: one of the “1,000 Places to See Before You Die” by New York Times; an exquisite secluded paradise that satiates your Caribbean love affair. A dream come true: become James Bond 007. 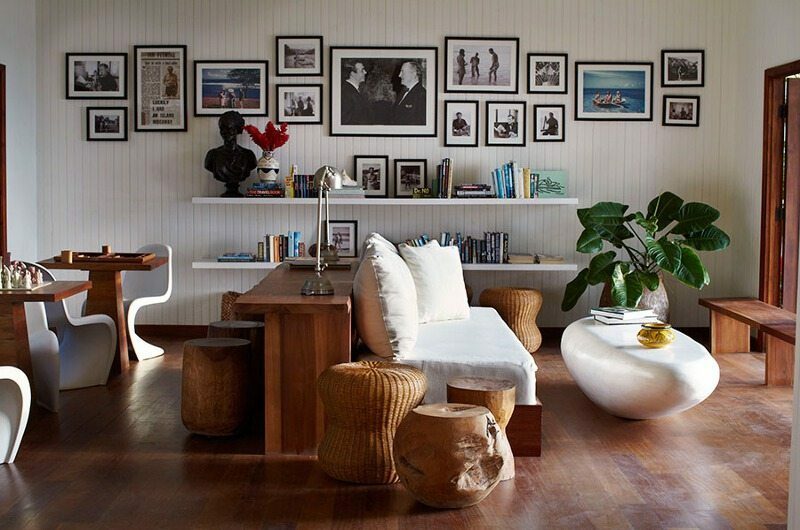 This is the astounding private island villa where Ian Fleming created the world’s most famous secret agent.